Le Port Montessori and private schools include twelve campuses throughout California. This particular campus converted a parking lot in a commercial area into a bright new campus. The proximity to local businesses and places of work make this campus convenient for parents and families. 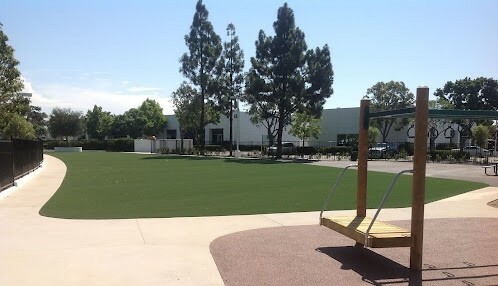 At this campus, USSA Inc was contracted to install a mini pitch field for the recreation and physical education of the students. The PolyTurf Greenfield mini pitch field installed consists of our PolyTurf Champion Sport synthetic grass on top of a poured-in-place rubber safety e-layer. This e-layer provides impact protection and meets G-max for safety while making the field comfortable for running, playing, and tumbling.